Residents of Southern California pay some the highest electricity prices in the world. The beauty of harnessing natural light is not only that it’s free, but it can make a huge difference. Brett Dickson of Solatube presents some mindful facts about the topic. “One of the things people don’t pay enough attention to about electric lights is that they don’t stop paying for them after the initial purchase. The more you use your lights, the higher you utility bills. While switching to LED downlights will save you handreds each year, they still use expensive electricity,” he said. Natural daylight delivers on associated feel-good factors for those who are exposed to it. Benefits can range anywhere from better sleep to boosting Vitamin D. Additionally, regularly getting your dose of daylight can enhance productivity and improve your mood. Tubular skylights, pioneered by Solatube, use advanced optical technologies to improve the way daylight is harnessed. 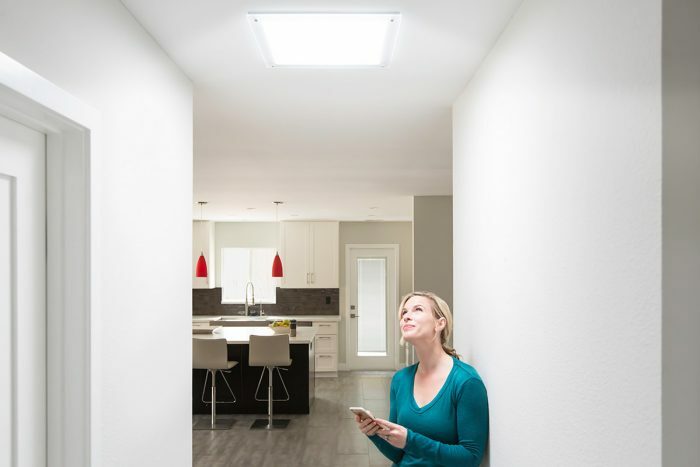 “Solatube’s patented Raybender 3000 technology captures a steady stream of light, meaning a consistent amount of light – regardless of time of the day or weather conditions,” Mr. Dickson says. For more details, visit www.solatubehome.com. To have one of our experts assess your space and provide a FREE in-home consultation and estimate, click here. Our customer service lines are open in San Diego and South Orange County at 619.319.9426 or for Los Angeles and North Orange County, contact 323.886.2271.